The Absolute Best Contacts — Period. It’s been said that necessity is the mother of all inventions. Every day in restorative dental practice the dentist is challenged by the large Class II cavity, the tooth with a fractured cusp or wide-open box. The ABC Wedge offers a solution. 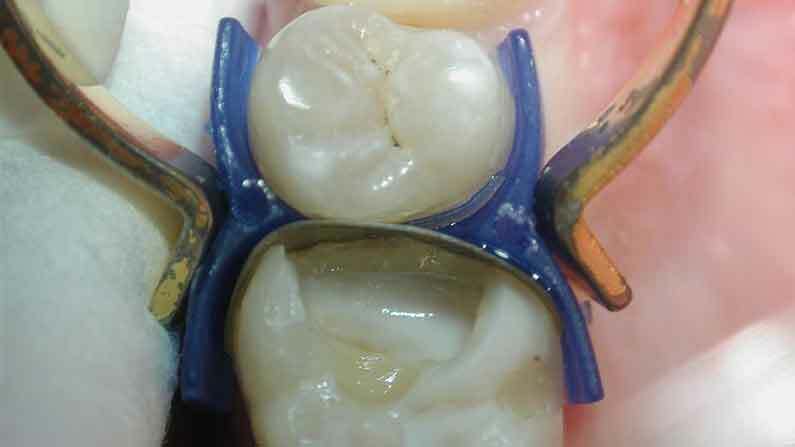 Our unique anatomically shaped curved dental wedge seals off the gingival floor and supports the matrix band allowing the use of any separating ring to achieve a tight contact. They are available in Extra Small, Small, Medium and Large in left and right configurations and may be used as a single wedge or in pairs. It is recommended that you watch one of the demonstration videos to understand how to use this product. The ABC Wedge is currently co-marketed through Danville Materials so if you would like additional information contact your dealer.